Payment Policy: Classes at $15 or less for members will be paid in full at sign up. Classes more than $15 require a 50% deposit at sign up, remainder due one month prior to class. Unfilled classes are open to non-members 4 weeks prior to class. Classes may require a pattern, kit or supplies fee, payable to the teacher. Cancellation policy: Except in the case of emergency, no refunds are given. Please contact Program Coordinator ASAP if you must cancel. See Standing Rule 1.A. for further explanation of either Policy. Zentangle is a Creative Drawing for Relaxation, Inspiration and FUN! 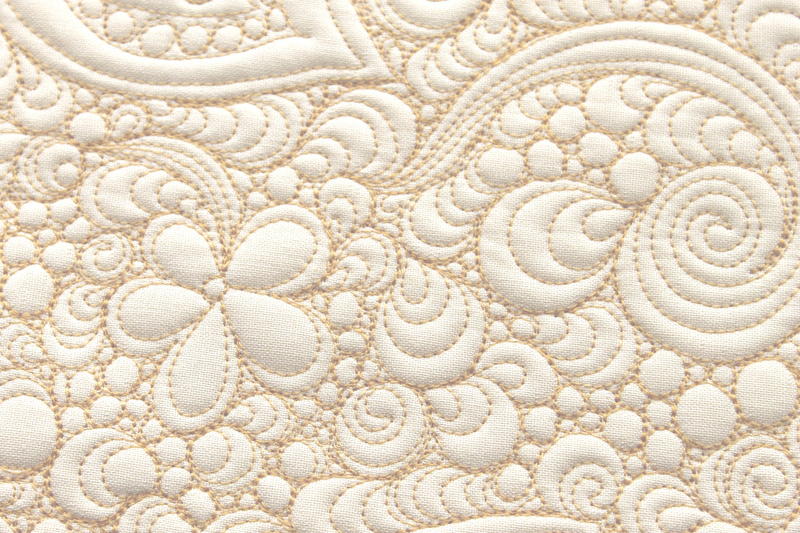 Modern Quilting will often use the Zentangle style of free-motion quilting. 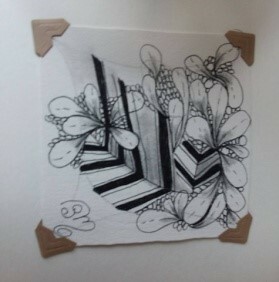 Play with Zentangle on paper before you transfer it to quilting. Susan Michalakes, is a certified Zentangle instructor and she is also a quilter. Kit $20 Please pay the Instructor. KIT includes all the supplies you will need to complete multiple projects. Kit: $35 – Please pay the instructor. Kits: Will be distributed on class day and include embroidery hoop, felt, beading thread, beading needles, felting needles, sewing needles, and felting foam, all of which are yours to keep. Program will demonstrate creative grid rulers and will include a Trunk Show of projects made using rulers. Class will demo how to convert patterns to utilize rulers. Worksheets will be provided. It will also include a handout listing shortcuts to convert patterns to piece blocks faster and more accurately. Bring something to take notes. Gayle Rojas will teach us the techniques and stitches to make a Sashiko Coaster. Kit will be supplied at no fee. You will need to bring a pincushion and an pair of embroidery scissors. All hand work so no machine needed. Kit $20 – Please pay the instructor. Turn up the heat! Fire and Bling will be used to make this bag to store your rotary cutter, smaller rulers or notions. Sewing Machine and regular sewing supplies needed for class. Kit: Please pay the instructor. Learn the technique needle felting. Each year a challenge is given to members, with criteria chosen by a committee. The project is optional, and when completed, it can be entered in the Panhandle Quilt Guild Show that year in the Challenge category. 2019 will be the Centennial Year for Scotts Bluff National Monument.